Mr. Shirvasta is a senior manager at VAMR Consultants. Mr. Shirvasta has prior experience with the Big 4. He is actively involved in Toast Masters International. 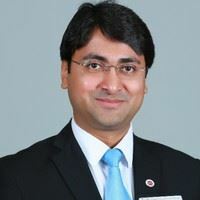 Mr. Shirvasta has a Bachelors of Technology from Jaypee University of Information Technology, a Master of Business Laws from National Law School of India University and Executive Education Certificate from the Indian Institute of Management Bangalore. He is a member of the Houston Area ACFE.